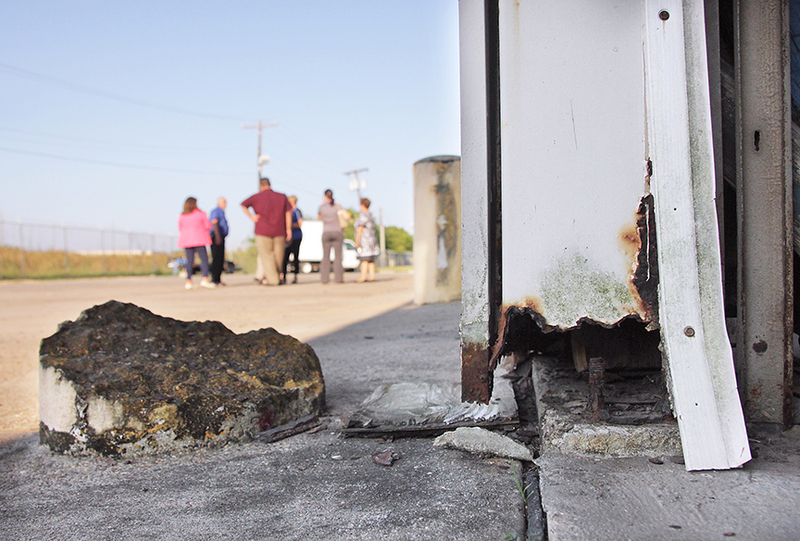 Henry LeVrier pointed down to where a steel I-beam met with weatherworn concrete. The base of the beam no longer gleamed the dark blue-black of freshly sanded steel. Instead, a ruddy shade of burnt umber shone murkily through a layer of institutional beige paint, drawing a jagged line of decay several inches above the concrete floor. A large portion of the beam no longer connected with the ground at all. 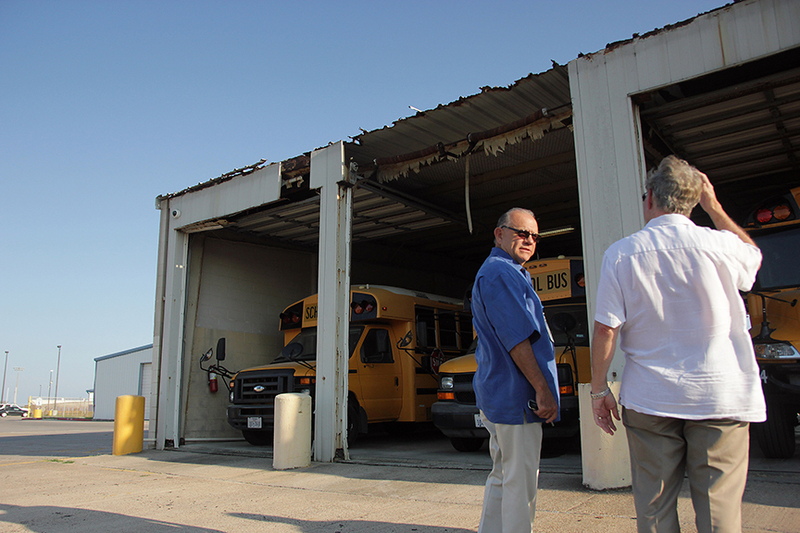 The rusted I-beam was just one of several supporting the weight of an equally rusted metal roof at the Point Isabel Independent School District (PIISD) bus barn, which the PIISD building committee took a look at during a tour of district facilities last Thursday. 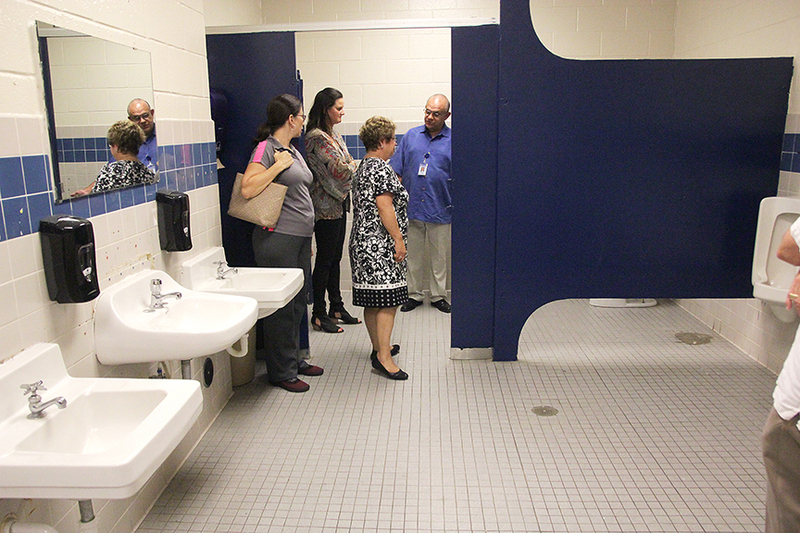 “The building committee of the board met with the purpose of touring facilities,” explained Dr. Lisa Garcia, superintendent of schools during a phone interview Wednesday. She added that the district has a long-term facility maintenance plan. 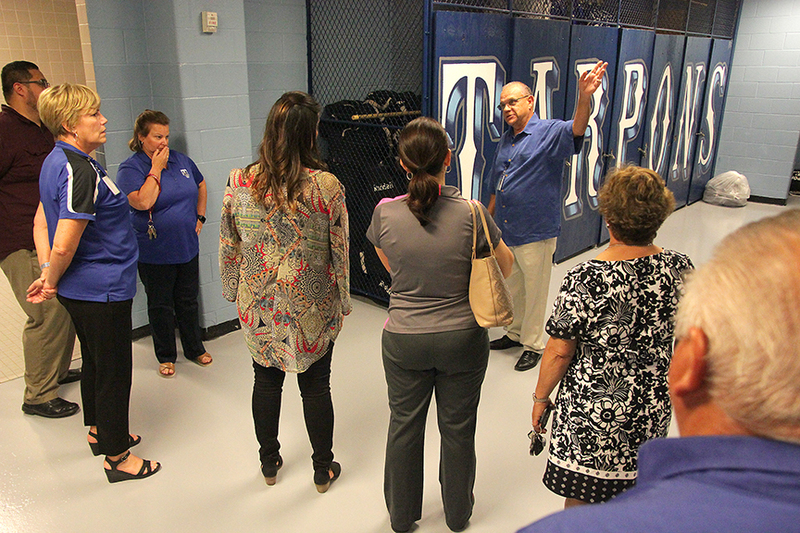 The tour was meant to illustrate the district’s facility improvement needs to the school board of trustees. Sand and sea may make for pleasant surroundings for folks seeking a sub-tropical vacation, but they make for a harsh environment for any structure that remains exposed to them for a prolonged period of time. 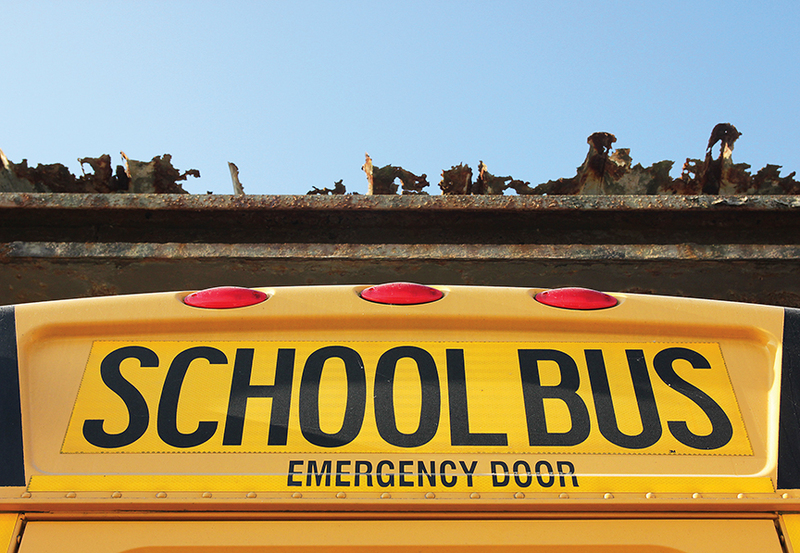 “The district faces some unique challenges by our location because facilities and equipment… just don’t last long as they do in other locations because of the salt air and the wind,” Dr. Garcia explained.